Thoughts Without a Thinker | MARK EPSTEIN, M.D. patients, and religious seekers explore new perspectives on the self. 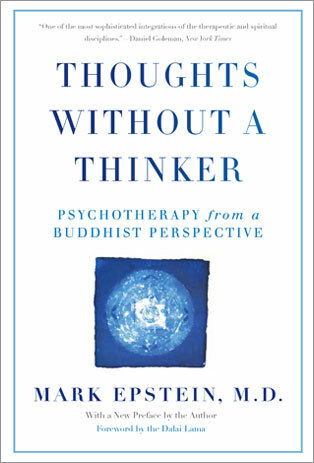 A landmark contribution to the field of psychoanalysis, Thoughts Without a Thinker describes how Buddhist teachings in particular have reshaped understandings of our minds and behavior. Drawing upon his own experiences as a psychotherapist and meditator, New York-based psychiatrist Mark Epstein lays out the path to meditation inspired healing. Now with a new preface by the author, Thoughts Without a Thinker offers a revolutionary understanding of what constitutes a healthy emotional life.